Or maybe you’re a Millennial who is challenged with leading a Gen X’er or a Baby Boomer. Although no one wants to be labeled, there are broad patterns of behavioral variations across generations. As a leader, it’s important to be sensitive to differences in experience and attitudes. Join Michael and Jim for twenty minutes of mind shifting that will change you as a leader…forever. If you’ve been in business for any length of time, you probably have had to face the hounds of bill collection at some point in your career. It’s one of the lowlights in the entrepreneur’s film reel, but it’s also one of the moments that will define them as a leader. You’re discouraged as the checks fail to arrive on time, and your stomach churns as the bills flow in with “past due” stamped on them. As leaders and entrepreneurs, we get it. If we don’t clearly understand the needs and wants of our clients, we won’t be in business for very long. Yet, this isn’t always as obvious to our employees who many times are only able to see things from their own perspective. 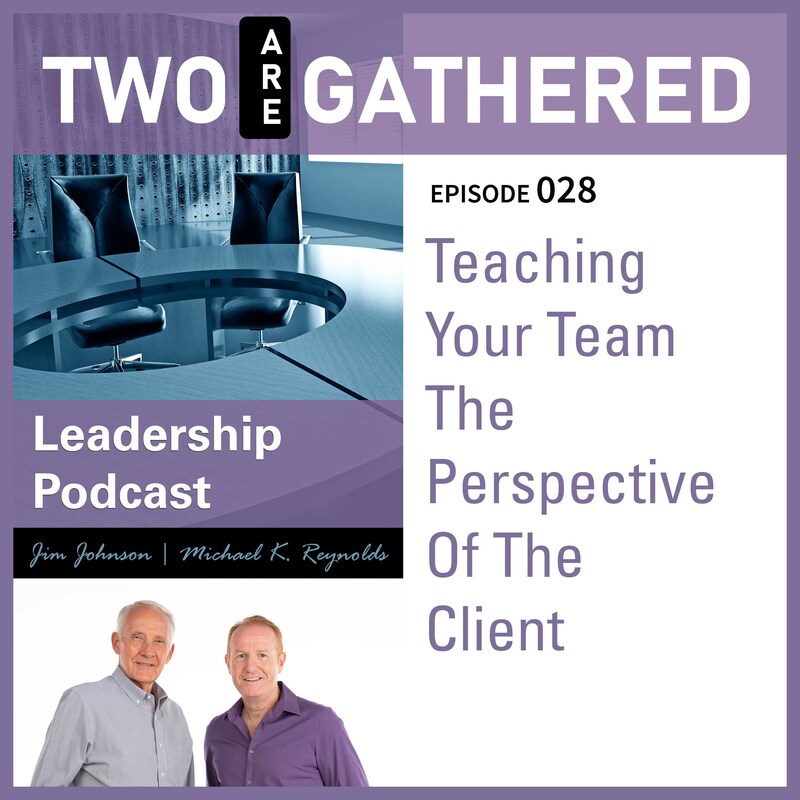 Join Michael and Jim as they share ideas on how to teach your staff to see things from a customer’s viewpoint. Leaders and entrepreneurs are uniquely adept at doing the impossible. It’s how we’re designed. Yet, the real challenge is leading our team through an impossible task. How do we accomplish critical, and extremely difficult assignments, without burning out our entire staff? Join Michael and Jim as they discuss this topic and provide key insights into improving this important skill in your leadership toolkit. Many times, it’s the worst thing that can happen to a leader. Having your best person letting you know they are leaving the company can ruin any business owner’s day, and in many cases can cause significant damage to the company. Join Michael and Jim as they discuss how best to cope with this most unfortunate, and all too common, situation. No. You don’t want to be that type of leader. Because, you’ll only chase away the sharpest, most creative minds. At the same time, you can’t take in everyone’s ideas, all of the time, or your vision will always be “under construction” and won’t ever make it out of the garage. 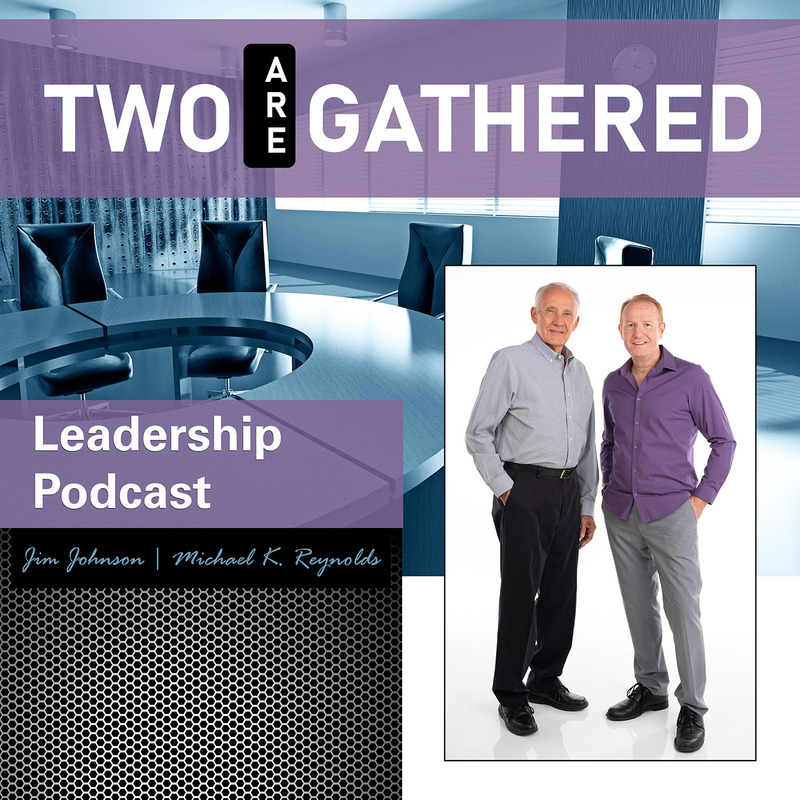 Join Michael and Jim in the 25th episode of the Two Are Gathered Leadership Podcast to get their unique insights in how to be both a great listener, and a decisive leader. If you’re going to be a leader. If you’re going to be an entrepreneur. Then you’re going to end up with knots in your stomach. By nature, leaders are always pushing things to the limit, and demanding the most out of themselves and their teams. Yet, this doesn’t mean you should be a nervous wreck and a wrecking ball in your organization. There is a better way. Join Michael and Jim as they share practical methods for untying those crippling knots of tension in your life. In fact, the ability to deal competently in the face of overlapping priorities is one of the most critical success factors of a leader. Yet, it’s also one of the most unpleasant tasks and the cause of tremendous stress, and oftentimes lack of sleep. Join Michael and Jim as they share key strategies in both avoiding and dealing with the entrepreneur’s common ailment of being overwhelmed. Could your company benefit from a dramatic boost in productivity? Would you like to increase your own ability to make the most of each and every day? If so, listen in as Michael and Jim share the productivity boosting concept of “Clutch Time”, which is a lesson learned many years ago on a farm far away. This episode will change the way you approach your work habits from here on out. It will also provide you with a powerful way to inspire your team to greater success. Nearly all leaders use the word integrity when describing themselves or their principles of business on resumes and websites all throughout the world. But how many of them truly understand what the word means and if they or their organization are really measuring up? In this challenging episode of the Two Are Gathered Leadership podcast, Michael and Jim explore what the word integrity really means, and why mastering it should be the quintessential goal of a leader. It’s a good business practice to seek feedback from your customers and employees. Yet, as leaders, are we brave enough to survey our family with the open ended question of “How am I doing?” as a husband, wife, father or mother? For most of us pouring our time and energy into the difficult daily challenge of leading a company, this exercise might not result in the high grades from our family we would hope to earn. Join Michael and Jim as they discuss strategies for being successful at putting your family first. It’s easier said than done, but this might be the episode that changes everything for you and those you love. This is often because the spouse is treated as a silent partner, rather than a leader’s most trusted adviser. In this critically important episode of the Two Are Gathered Leadership Podcast, Michael and Jim share insights in how focusing first on a successful marriage can further increase the odds you’ll have a successful business. Don’t miss this one and be sure to share it with whomever you feel it may bless. It’s been shared the two most essential attributes of a successful leader are strength and kindness. There are many strong leaders, but they have no heart, and they leave behind a trail of the battered and bruised. Then there are those who are kind, yet they are too weak in many areas for others to want to follow them. In this groundbreaking episode, Michael and Jim discuss the “Heart of a Leader” and share key insights toward being successful as a both a happy and effective leader. Successful leaders aren’t experts at success. They are experts at overcoming disappointment. Yet, responding well in the face of adversity can be one of the greatest challenges a leader has to deal with on the road to reaching their vision. How should you deal with disappointment? Should you always be fully transparent when you’re going through hard times? Or are you better off keeping a stiff upper lip. These answers and more with Michael K. Reynolds and Jim Johnson on the Two Are Gathered Leadership Podcast. Many have spouses, yet they don’t often feel comfortable burdening them with their challenges, and many times their wives or husbands are a little exhausted about hearing about these problems anyway. Then there is your team that you lead. Are they going to have an answer for you when you can’t meet payroll? Do they really want to hear about your personal challenges. But, rather than keeping it all to yourself, there’s another way. The answer lies in the lifechanging concept of the leadership table. And it’s the focus of this week’s discussion on the Two Are Gathered Leadership Podcast. They also explain the purpose and vision of the podcast and offer critical encouragement to leaders…and those who should be leading…to come along for what promises to be an amazing journey for in the areas of business, community and faith.